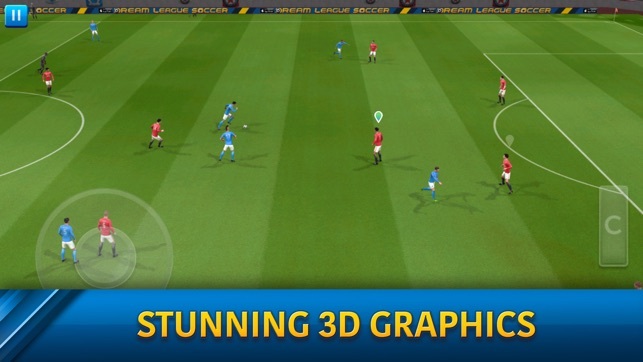 A breakneck football simulation, Dream League Soccer masterfully fuses savvy gameplay with the geeky immersion all fans crave. You’re put in charge of a humble lower-league club and handed complete control to mastermind a charge up the soccer pyramid. 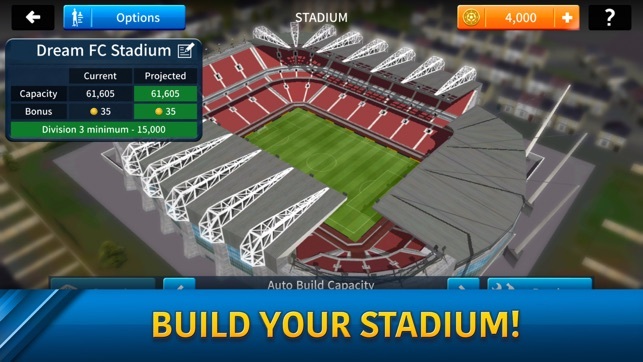 Everything from stadium improvements to transfers and player development are on your watch—and you’ll need to perfect your in-game skills, too. A warning: honing your abilities to score the goals for a promotion bid will require commitment. 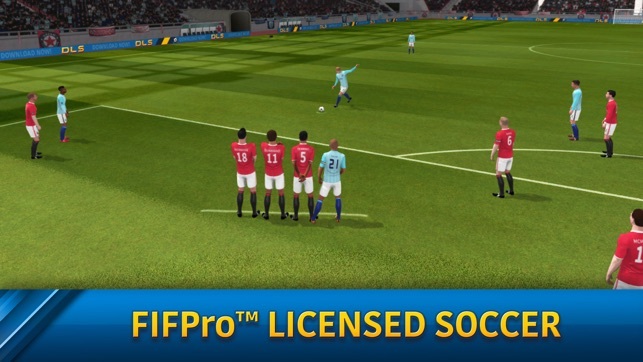 If you’re looking for an awesome soccer game (app) here it is..not joke. Not just kicking at a goal with one finger. It’s fun to create your team, logo and outfits. I would recommend to anyone, for a phone game this is one of the best. Penalty kicks are really irresistible. They have practice games and training which is always nice with a new game! 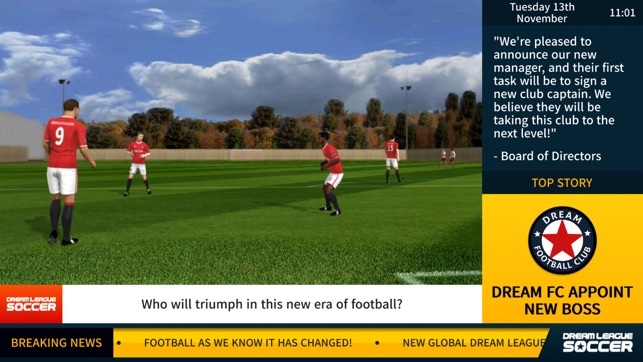 -Maybe there can be some betting with the online games? You could bet your own coin; if you didn’t have enough you just go to zero, but the winner still gets paid of course.- I do wish I had more control of my goalie at times, but at least I can get his numbers up. Sometimes it’ll “stop” my player before I can reach the goalie and I feel like I to do more, maybe give him a few kicks! I personally would love to see some women? I love some of the known teams in the women’s league. If you know there if something I can download, please tell me. Last, but not least if one of my players get a red card I try to switch them out (because I thought you were supposed to) and it won’t let me; sometimes the same with injured players. The only change I want to see is a difficulty change in the AI because they are very easy even if I don't hold down B when defending so please make a difficulty setting because I want a challenge. 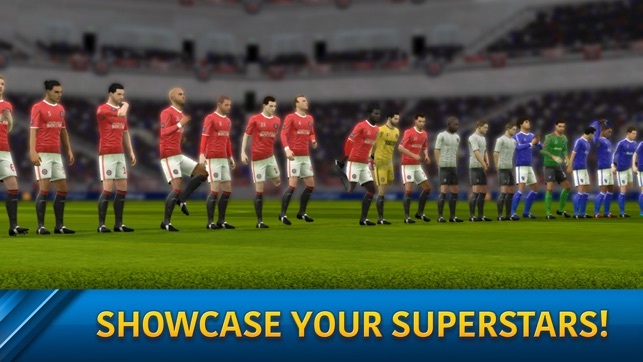 I played and still play the first Dream League Soccer game which I love to death it's flippin amazing and I love all the changes made to this one there are more free kicks more fouls on the opposition and you can't cheat your way through with watching ads anytime and getting 39 coins each time now you can only do that after a game which I like. One complaint is when I run toward an opposing player to steal the ball my player is assisted in his running and moves behind the opposing player and I have lost MULTIPLE games because of that so fix this please or make an option to turn that off because with it on it makes the game so annoying. Overall incredible game with awesome features fix some of it or change but I can't wait to see what comes next. UPDATE: Make goals outside of the box more probable in ever division those goals make the game more exciting instead of running past every defender with one player and scoring from 5 feet out.